A 2018 twist on a higher ed holidays tradition! Since I didn’t get the time to review this year as many as I did in the past (the work on the brand new courses we’re launching in January has kept me too busy), I’ve decided to post my selection in a different venue. What’s your plan for your higher ed career in 2019? Start the New Year the right way by investing in your professional skills! 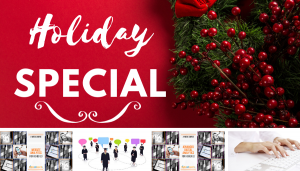 Check out our Holiday Special that will help you – and your team – upskill in 2019. I’m sharing the accessible version with audio description! The regular version can be found on this page. What will 2019 bring for your higher ed job and career? Invest in your future to have a say! Check out our Holiday Special to help you upgrade your digital skills in the New Year! The resulting holiday card is a mosaic of hundreds of photos. "Holiday in the North Country" from St. Lawrence University on Vimeo. 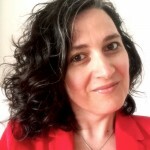 How will you make 2019 a big year for your higher ed career? Earn a recognized professional certificate as you upgrade your digital skills! Check out our Holiday Special on the next session of our 4-week certificate online courses!